Once again, Jesus had left the city the previous night. The next morning, Jesus and His disciples returned to the city and the temple. On the way to the temple, the disciples noticed that the fig tree Jesus had cursed the previous day had already withered. They were surprised that it had happened so quickly. The fig tree was again serving as a visual parable. 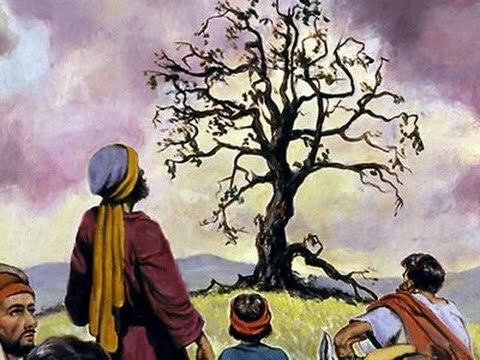 The fig tree, which stood for Israel, had rapidly withered and been destroyed, just as Israel would soon be destroyed. Today we know that approximately 40 years after Jesus caused the fig tree to wither and die, in AD 70, future Roman emperor Titus, along with his second-in-command Tiberius Julius Alexander seized and conquered Jerusalem, the holy city of Israel, and destroyed the temple of the Lord. 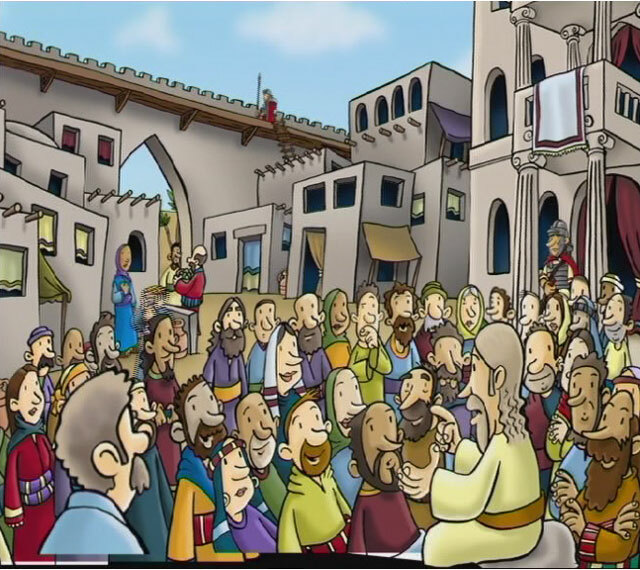 After arriving in the city, Jesus and His disciples once again returned to the temple, where Jesus began to preach. His actions caused religious leaders to question by whose authority did He do such things? Jesus agreed to answer their question, but only if they first answered His. Jesus knew that they would not, could not answer His question, because they were unwilling to acknowledge from where Jesus received His authority. Jesus teaches using several parables. Parables are easy to remember stories that are associated with a specific lesson. Jesus was teaching to people who were, mostly, unable to read or write. Very little was recorded outside of government. By teaching in this way, people were more likely to remember the lesson. It also got people talking and thinking! Jesus did not expressly tell the crowds the meaning of the parable; it was for them to figure out! The parables were built on common and well-known activities which would resonate with the listener. Jesus was preaching to the common person and did so in a way that would be entertaining, familiar, and easily remembered so that they could be shared with others. The parables were also used to avoid getting into trouble with the Sandhedrin, the executive, legislative, and judicial branch of the Jewish government. Frequently in His parables, Jesus would not portray the religious leaders of the day in the best light. He called them out on their false actions and refusal to accept God's blessing and His Son. Jesus' teaching infuriated the Pharisees because Jesus was upsetting the status quo. Jesus had also managed to avoid being trapped by their various questions, making them look unwise. This day was no different. In a debate over whose son is the Christ, Jesus was able to silence the Pharisees, for they could not say anything else, without acknowledging the truth of Jesus Christ. Jesus was not finished though. He continued to teach to any who would listen, before returning to Bethany for the night.